Hi there! I’m David Trimboli. Here is everything you’ll find on my website. Continuum: Roleplaying in The Yet is Aetherco’s game of time-traveling society. You play a spanner, with the power to travel in time and space at will. You must protect your personal timeline from narcissists, other spanners who want to change history, or else you’ll be fragged out of existence! An introductory scenario for novice spanners. When a stranger appears at the corner, with no memory of who he is and with only the corner’s address on a slip of paper, the spanners must figure out what to do with him. A scenario for novice spanners. A mad narcissist wants to kill a baby and stop World War III from ever happening. A brief survey of possible types of adventures that spanners can go on. They can do more than just fight narcissists! I am an adherent of the older editions of the game. Method IV in the Dungeon Masters Guide for generating ability scores requires that you roll up twelve characters and choose the best one. That takes a long time! This spreadsheet, compatible with both Microsoft Excel and OpenOffice.org, generates these characters for you, and tells you what class and race combinations you may choose from, and what your level limits will be. Fantasy Wargaming by Bruce Galloway has a reputation for being so hideously complex that it’s unplayable. I don’t agree. The layout of the book is not good for explaining a role-playing game, but the rules themselves are not more difficult than many other—popular—games. In these pages I examine the text of the game and explain how it works. You must have a copy of Fantasy Wargaming to follow this discussion; my goal is to explain, not reproduce the rules. Note that I have never actually played Fantasy Wargaming, but I would welcome any opportunity to do so. The texts on this site represent an analysis of the book, not a determination as to whether the game is fun to play. Making a character requires actually reading the whole book. Once you’ve done that, this page will explain the character-creation process in a step-by-step manner. Now that you have a character, here’s how you go on adventures. Rearranging the personal combat rules to make them a little easier to use. A spreadsheet of the missing portion of the Weapons Table in the large-size editions of Fantasy Wargaming. The Generic Universal Role-Playing System. GURPS lets you role-play in any setting you can imagine. The “Time Corps” setting in GURPS Infinite Worlds is an almost word-for-word copy from the earlier edition in GURPS Time Travel. It lacks any templates to use for Time Corps agents. This is my version of such a template. I have also created a template for GURPS Character Assistant. A data file for GURPS Character Assistant to add templates and equipment from GURPS Tales of the Solar Patrol. A worksheet for generating aliens using the system found in GURPS Space, analogous to the Planetary Record and Worksheet used to create worlds and star systems. Known in Klingon as tlhIngan Hol, this is a complete constructed language. Find more information at the Klingon Language Institute. Those familiar with the works of J.R.R. 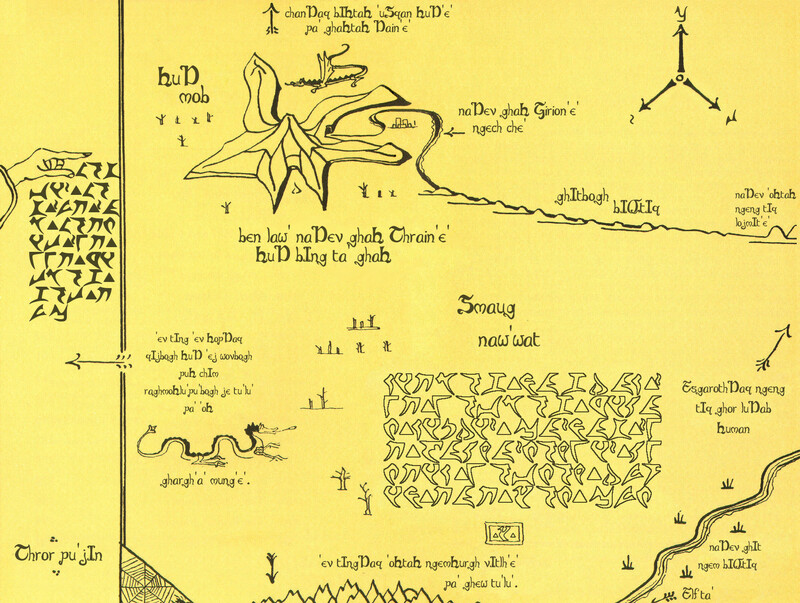 Tolkien, author of The Lord of the Rings, will recognize the writing system of the Elves. Tengwar is adaptable to any language, and I have created a possible mode for writing Klingon. It’s more writable than the KLI’s pIqaD (though it doesn’t look very Klingon). A poetic Klingon call to arms, originally read at qep'a' wa'maH cha'DIch. A Klingon version of Thror's Map from The Hobbit. New encounters and foes to use in Atlas Games’ competitive role-playing game of hacking, slashing, and bloody Viking goodness. The heroes make their way through a remote goblin outpost, and must defeat a goblin shaman. The heroes fall into an ancient dwarven maze designed to study the behavior of men. They must find the way out, overcoming creatures and tests. The exit is guarded by a fearsome beast. A new Rune foe. Fire Wyrms are fire-breathing dragons. Though customized foes can’t be given special abilities like breathing fire, you can treat the unusual ability as a trap. A little bit about who I am and what’s on this site. How to calculate the stardate as it’s done on Star Trek, more or less. Use this program to quickly determine the day of the week for any year in the Gregorian or Julian calendars. Why would you want to do that? That’s up to you.